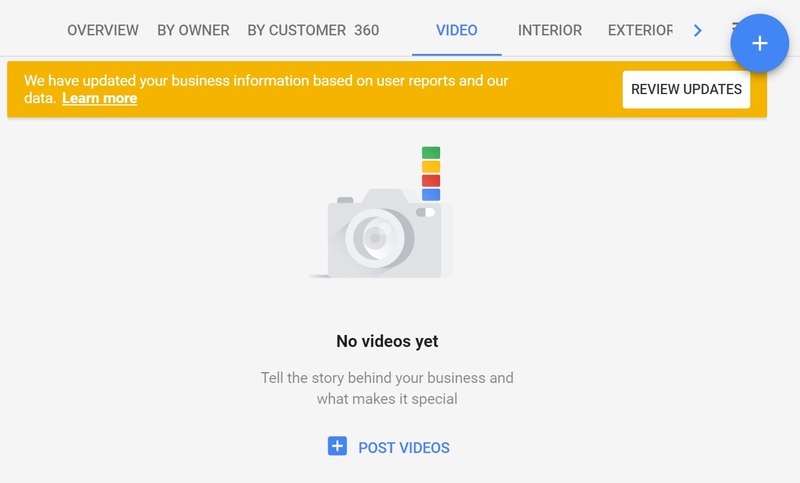 2018 is here and so is the ability to add video to Google My Business. The ability has been live for “Local Guides” for about 4 months now. That means that anyone can upload a video to your business listing. The move was expected, as Yelpers have been able to do this for quite some time now. Business owners with physical locations can now upload images for the business logo, business exterior, interior, team photos, products and more. And, well, yes videos now too. So, go ahead, create a video for your business and upload it. If you are signed into a Google Account which is an Owner or Manager of the GMB page, you should see this option right in search results when you google your business name, however, I’ve been seeing the video tab come and go. Just today, I was unable to locate it. Be sure to upload a video which appeals to potential customers and their needs or desires.